Imagine if you could control time, the consequences of your actions or change the way events played out. You’d have to think pretty carefully about what you messed with, but all things considered think of all the fun you could have. Looking at this incredible Opel Calibra that’s all I can think about, because right now I want to mess with time and mix it up a bit. Zakspeed’s pedigree is proven: during the ’70s, ’80s and ’90s they turned out some of the most outrageous race cars I can think of. Now consider that roughly half an hour from their front door is the Nürburgring. What better place would you want to test race cars? Put those two famous names together and you know that the machine I’m here to see today is going to be special. Although I didn’t realise just how special until I started looking at the technical specification of the raw carbon creation that is the stillborn 1997 ITC Calibra. International Touring Cars was created by the FIA in 1996, with some mad DTM style machinery from Alfa Romeo, Mercedes and Opel. It lasted for one season, which was won by a Calibra. This one was going to be the 1997 car, but when the championship was canned, the project was shelved. Not unusual as often manufacturers will try something and then push it to one side, but what we have here is a mind-blowing Calibra that was entirely finished and ready to race aside from a sponsor’s livery. But it wasn’t sold on, it wasn’t put out to dealers for demonstration; for some unfathomable reason it was parked in Zakspeed’s private museum and left. Barring a few building changes this is where it’s stayed. But just look at it. How could you not want to see what it will do? Details are sparse, stories have probably shifted since Zakspeed built the Opel and all we’re told is that the manufacturer doesn’t want the car to be raced. And this is where that initial question comes back in: just imagine what would happen if it came out and could face the potential rivals. Run a series for ghost racers, just for kicks – how cool would that be? Would it have affected road car sales? Would the sums and technology do their job and win the race? It’s purely hypothetical and will always remain so, but hey I can dream. The figures really pull you in as they get reeled off. This might be normal around Zakspeed but for starters what about the Cosworth built 2.5 liter V6 that revs to 12,000rpm? When I ask if there’s any chance the engine could be fired up, there is mild smile and a polite “No”. That would take a lot of preparation that there’s no time for now, so when did it fire up last I wonder? The all up weight of 1040kg actually seems pretty heavy when you consider how much carbon there is on show. Which I’ll say right now is my favourite part. It looks so good up close. 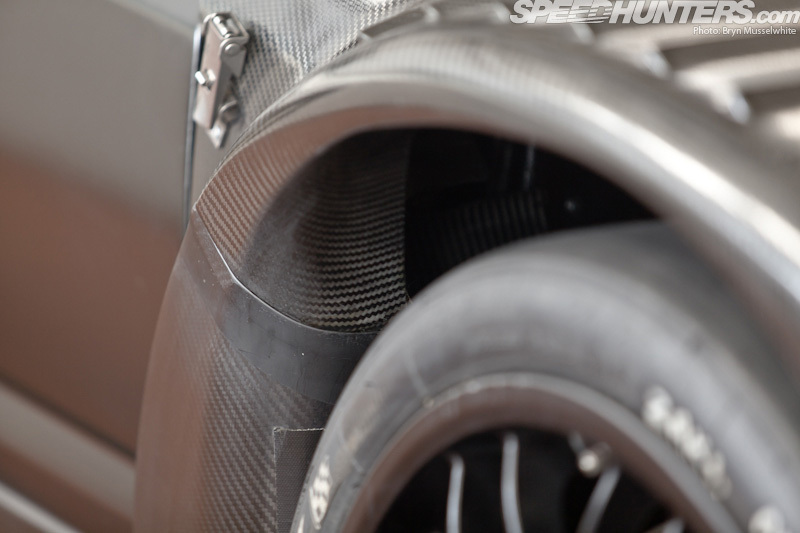 … and the style seat moulding on the inside – just two things that scream race car. Closer inspection shows the panels are just thick enough to not warp when air flows over them at speed, but thin enough to be as light as possible. Curved cutaways behind the 10x18in, slick-shod BBS Magnesium wheels aid airflow as it would cut through atmosphere. It’s amazing what a difference the lack of a livery can make. 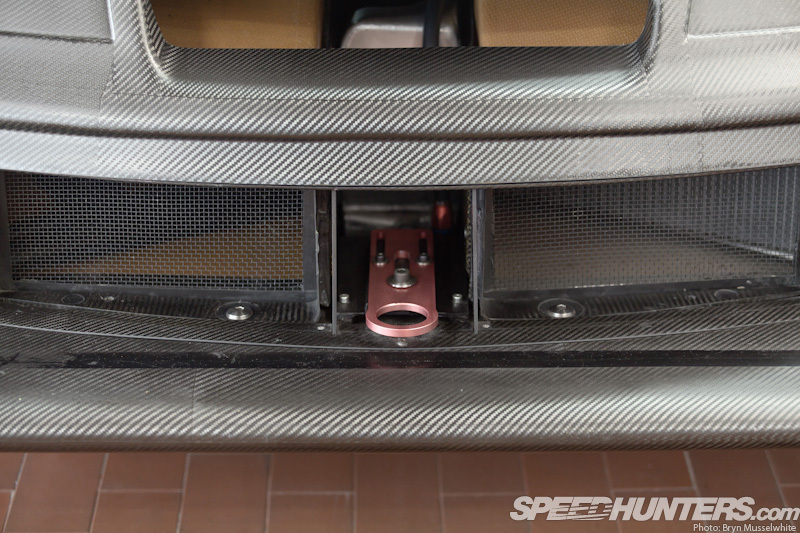 It looks so mean in bare carbon, the plain black cage inside and chassis emerging through the bulkhead like polished robotic fingers, clutching at the carbon throttle bodied V-motor. 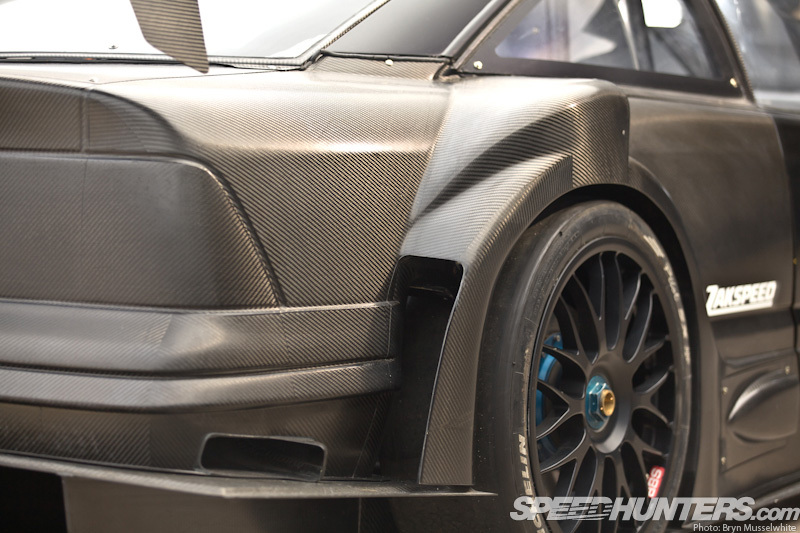 If Batman was to have a ‘subtle’ road car, you’d be looking at it. With an engine like that, the transmission is suitably special too. 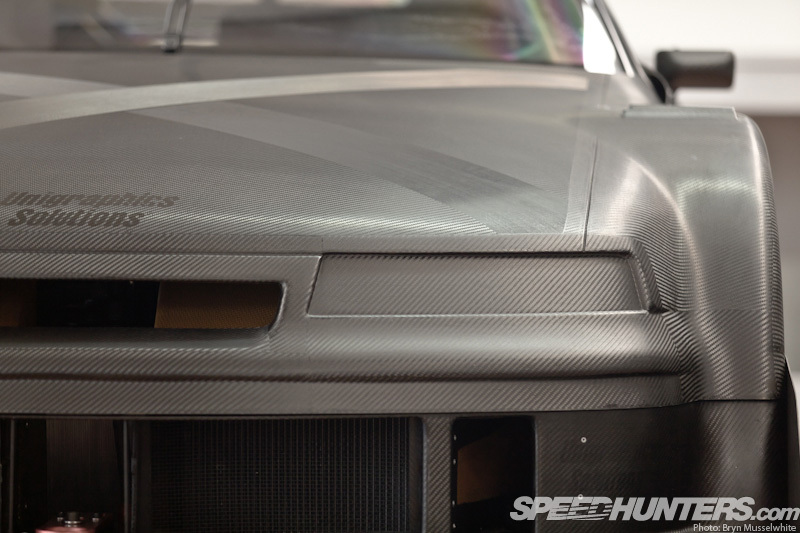 Again details are limited as I’m not even sure anybody directly involved with the build originally is still at Zakspeed so research has been patchy and often wildly differing in results. 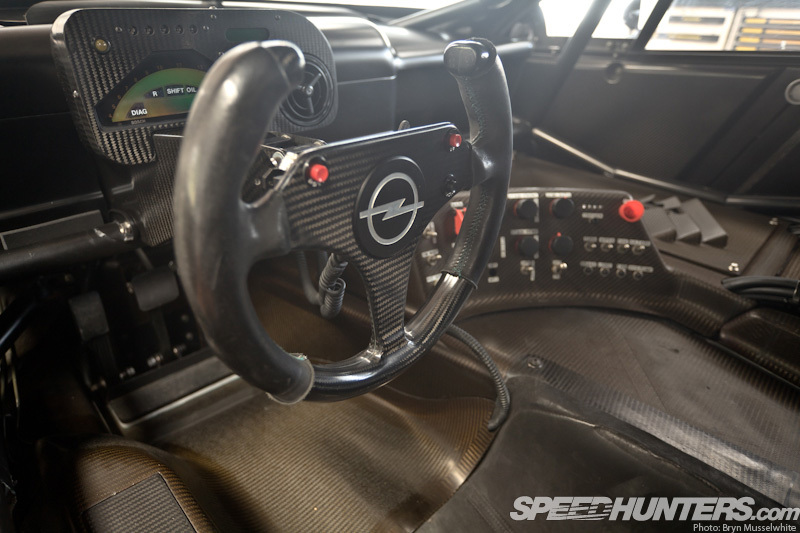 Although it would seem that the semi-automatic six speed gearbox came from X Trac and was developed in part using Williams F1 shifter tech, hence the steering wheel-mounted paddle shift. 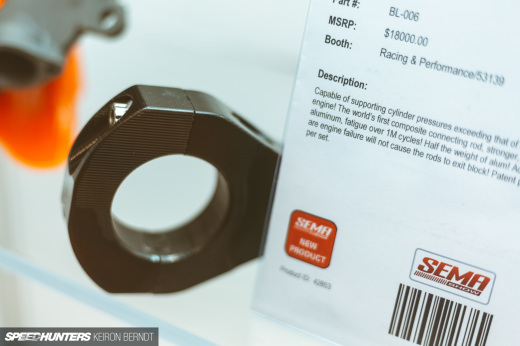 The low engine and transmission height is possible thanks to some clever packaging. If you’re looking at the engine from directly above, the gearbox obviously sits behind, but then there are two short, alloy-encased stubby arms running forwards either side of the engine connected to the box delivering drive to the front driveshafts. 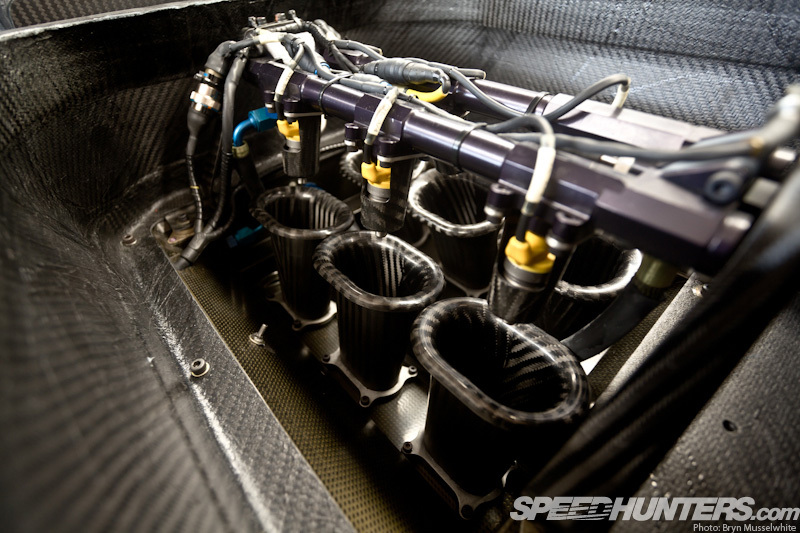 This means the engine can be mounted further back, unlike rivals at the time like the Alfa Romeo. 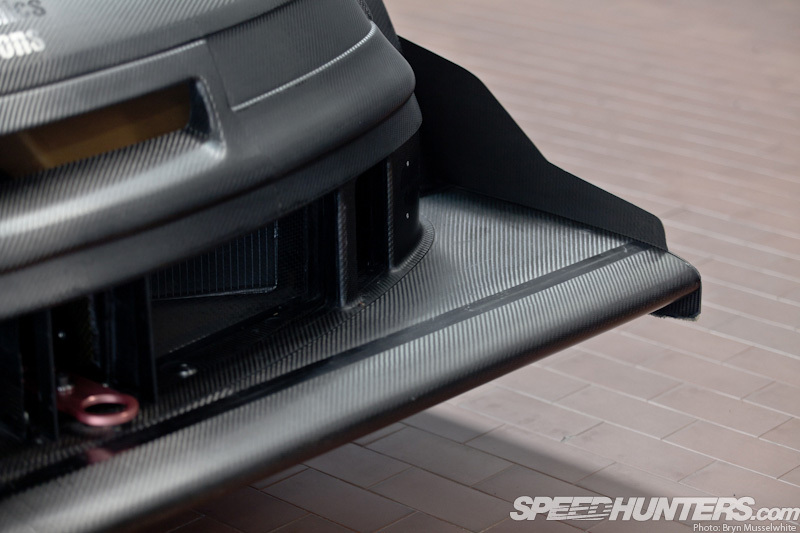 Considering the Zakspeed bespoke in board suspension is mounted around there as well, with silly things like exhausts getting in the way it really is amazing to see it all packed in together. Especially when you remember that everything has to be accessible in a pit for inspection or replacement. It’s another sobering thought to think that this was all done seventeen years ago. Look at BTCC nowadays and they seem so tame. WTCC too – yes all race cars are limited by regulations and it does keep it all on a level playing field. 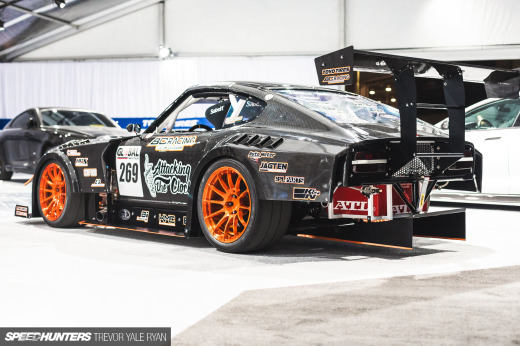 But what happened to building badass race cars? I ask one of the small Zakspeed team who are in the background as I’m left alone to shoot the Calibra if it will race one day. Once again he smiles and neither confirms nor denies it. This is all old, irrelevant technology for Opel – why would they want it wheeled out? To be honest I’m not even sure who completely owns the Calibra. It’s here but does that mean Zakspeed can do what they want with it? Obviously not. There are a few photos on the internet where you can see the mechanical layout of the 1996 ITC Calibra and it soon becomes apparent just how different, how much more advanced this build is. Sitting in the driver’s seat (well you would, wouldn’t you? ), once again it’s rammed home what an incredible build this is. 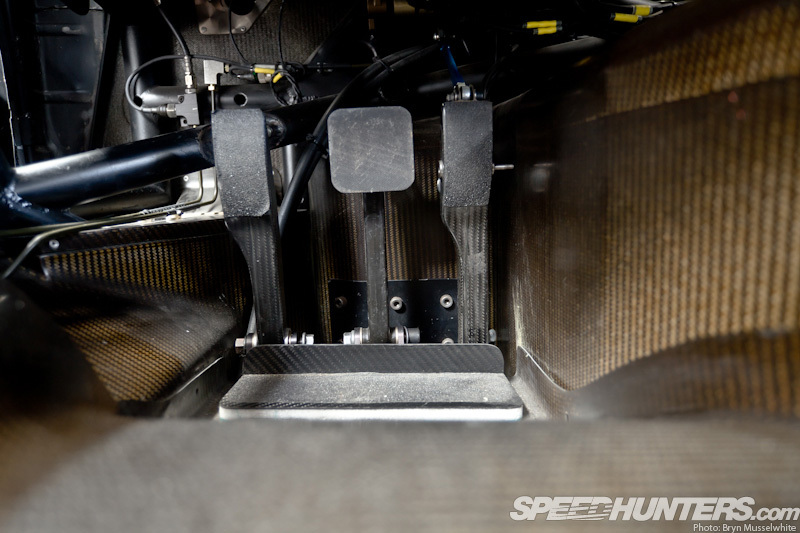 The seat itself is part of the overall cockpit moulding, so presumably it was made to fit a generic driver size, with padding added where needed and the pedal box adjustable for leg length. It feels like a proper cockpit too. Once again no logos to keep in-car TV cameras happy and my mind can drift to what it would feel like to roll out onto some mirror smooth tarmac, warm the engine up and flick the wafer thin shifter paddles up and down like tapping out a favourite tune. I don’t think that’s going to happen any time soon though – as I pack up my cameras, the Calibra is wheeled in the air back down to the museum at the back of the workshop. Like the facts of this story, it was brief but very enjoyable. You may have noticed one of the radiators is missing from the front of the Opel, but that aside I don’t see anything apart from a change to new rubber that would stop it from being exercised. It might seem criminal to keep the Calibra hidden away, but then if it had been let out into the open what would have become of it? Where would it be now? Probably not here and here is a good place, because we can all see just how awesome it is. 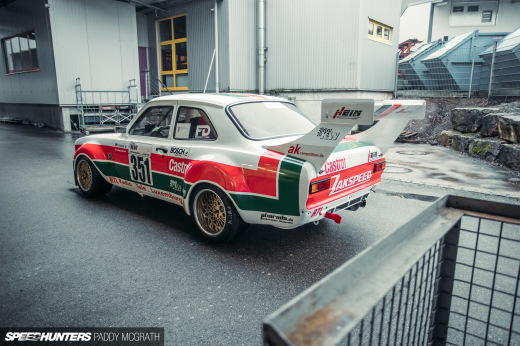 Thank you Zakspeed… it’s been a privilege. We can see at the Picture 19x10 (not 18x10) BBS Wheels! It is pretty light if you consider the great 4 wheel drive system it had in '96. Such an underrated car though.